The 2.8-acre Quail Hill Trailhead provides a great location to connect to southern Irvine’s extensive trail network. 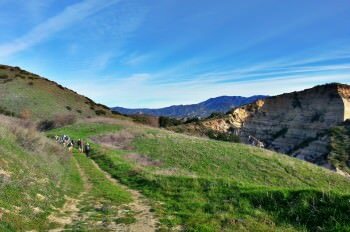 The trailhead is located at the end of Sand Canyon Road and marks the beginning of the Quail Hill Loop Trail, an easy two-mile natural surface trail at the foot of Quail Hill that is open to the public from dawn to dusk. Irvine’s southern wilderness is also accessible via docent-led activities that begin at the trailhead. Quail Hill loop is the only wilderness trail in the Natural Landmarks that allows dogs – on leashes of course. While visiting the Quail Hill Loop Trail, bring along your cell phone and experience Irvine’s self-guided cell phone audio tour. Just dial in to hear natural resource interpreters and researchers explain important features along the trail. The tour itself is free, but you will use your own cell service and minutes. Additionally, the tour can be listened to from any phone, anywhere, any time. How to listen: Dial 949-743-5943. Listen to the greeting and then enter the number of the location you are interested in followed by the # key. The locations are numbered 1-5 and you can leave anonymous comments by pressing 0# at anytime. The prompts can be listened to in any order. 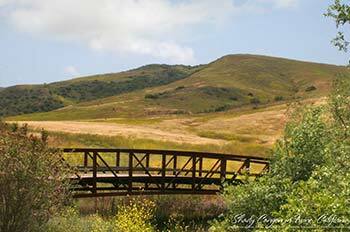 For more information about activities in Quail Hill, contact the Irvine Ranch Conservancy at 714.508.4757. The Quail Hill cell phone tour can be reached by dialing 949.743.5943 from any phone. For a list of upcoming events in Quail Hill, click here.